This is the first picture of a teenage girl who tragically died at a house on Merseyside. 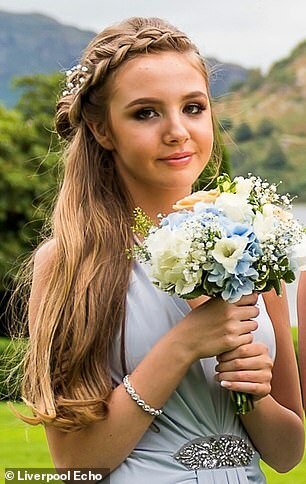 The mother of 13-year-old Eboney Cheshire has now spoken of her heartbreak after her young daughter’s death. Eboney died in the early hours of Monday morning after falling ill at a house in Rainhill, St Helens at around 11.40pm on Sunday night. Kerry Williams, the teenager’s mother said she has been left ‘broken’ since her daughter’s death. Ms Williams paid tribute to her daughter today, in a statement she said: ‘My beautiful baby girl, I love you with all my heart. A Devastated Ms Williams added: ‘My baby girl, I love you more than life itself and your brother is heartbroken. Eboney, who was a pupil at Rainhill High School, was rushed to hospital in an ambulance but was pronounced dead at 1.20am on Monday morning, December 3. Merseyside Police, yesterday, released the results of a post mortem examination into the young girl’s death. A spokesperson for the force said: ‘The cause of her death remains unexplained pending forensic analysis and the investigation is ongoing. 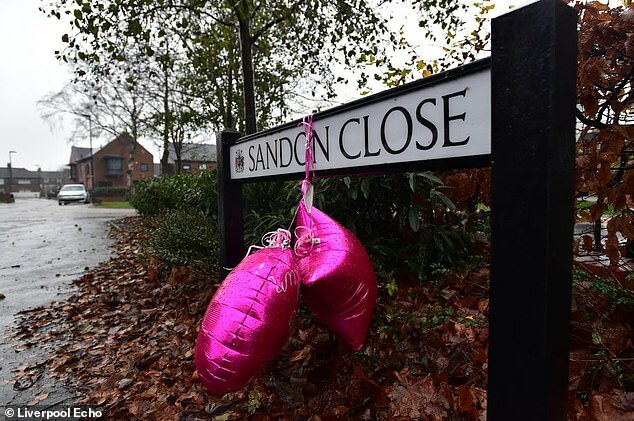 Those who knew Eboney were invited to release balloons in her memory at Penny’s Pit, in Rainhill on Tuesday night. A post on Facebook, alongside a picture of the teenager, read: ‘There will be a balloon launch in memory of the young girl Eboney who tragically passed away at the weekend. John Pout, executive principal of Rainhill High School said: ‘We have been advised of the very sad news that one of our pupil’s passed away at the weekend. ‘Advice and support is being offered to pupils throughout the school.